If you’ve ever taken a ride up California’s Pacific Coast Highway, you’ve undoubtedly passed through San Simeon. It’s one of my favorite places on the planet. A prime appeal of the area being the perfect coastal climate and classic scenery of rolling hills scattered with California coast oaks. 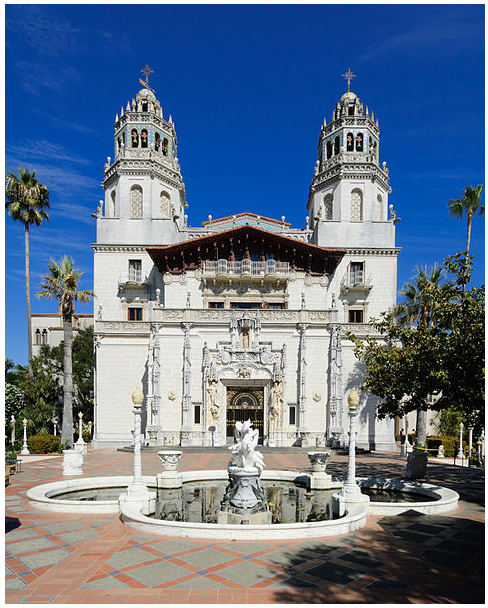 Oh, and the little roadside attraction called Hearst Castle. Throughout her career, she designed many buildings for residences and institutions, such as YWCA, Mills College, St. John’s Presbyterian Church (Berkeley, California) and Asilomar Conference Center in Pacific Grove, CA. What I’d like to highlight most is that Julia embraced the Arts and Crafts Movement. She hired many local artisans and craftsmen for her projects and used various producers of California pottery to adorn her buildings. Her style was characterized by the California vernacular with distinct Arts and Crafts attributes, including exposed support beams, horizontal lines that blended with the landscape and extensive use of shingles, California Redwood and earth tones. 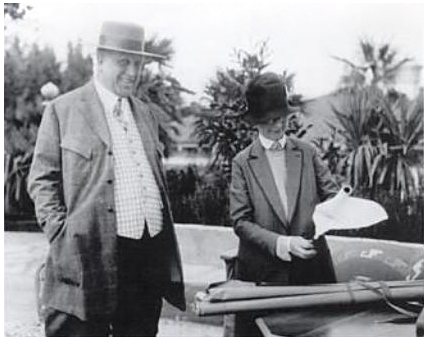 Bernard Maybeck, a lecturer in architecture and engineering at Cal, was an influential character in the Arts and Crafts movement in the Bay Area. He encouraged Julia in her academic, and later, professional career. He encouraged her to enroll in L’Ecole Nationale Superieure de Beaux-Arts. When she returned from Paris with her new architectural certificate, she renewed her acquaintance with another mentor, Phoebe Apperson Hearst. Phoebe was a principal patron of UC Berkeley and viagrasansordonnancefr.com she steered several commissions in Julia’s direction. Phoebe is best known for introducing Julia to her most famous and longest-running client, her son, William Randolph. Julia worked on Hearst’s San Simeon ranch house for 37 years, never completing the 165 rooms and 127 acres of gardens, terraces, pools and walkways. bide a while in Julia Morgan’s custom-designed castle. Email or call Jeff at 626-221-5244 to create Arts & Crafts lighting and furnishings for your castle.